It’s Day 2 of our 12 Days of Christmas Movie Reviews, and I believe I have the privilege of introducing the best Christmas movie on our list: Miracle on 34th Street!! Just so there’s no confusion, I am talking about the original 1947 classic, not the 1994 remake. And while I actually like that movie considerably, nothing holds a candle to the original. It’s not just the best Christmas movie on our list, it’s probably the best Christmas movie ever, and one of the best movies of all time. I’m sure there’s a certain sense of nostalgia at play here, because I certainly remember watching this with my mom every Christmas when I was a boy. This film that she watched as a girl was now captivating me, and though I didn’t know it at the time, it helped foster my love for movies, and for the wonder of them and the joy they could bring. 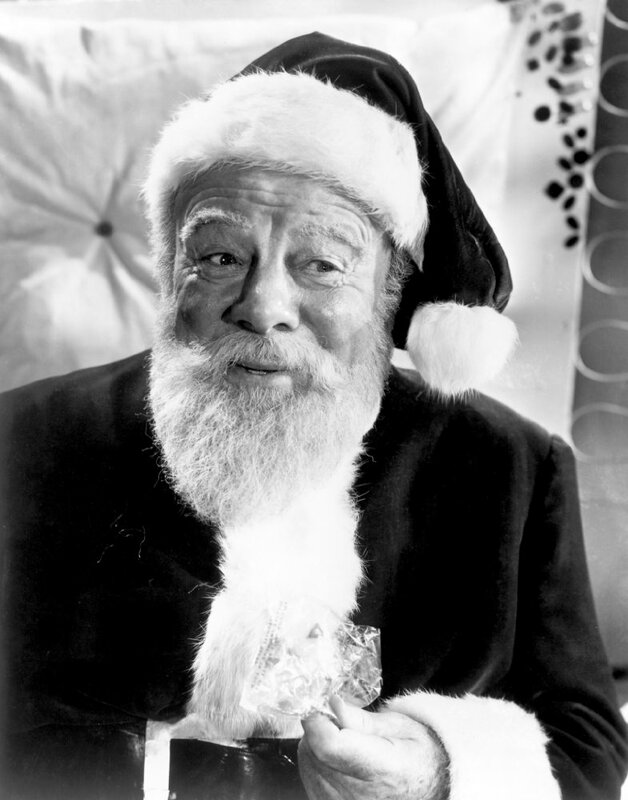 Before I get too mushy and sentimental, here’s a summary: Macy’s Department Store quickly needs a Santa Claus replacement for their Thanksgiving Parade after their planned one shows up drunk, and who else should be there but a man named Kris Kringle (Edmund Gwenn in an Oscar-winning role). Kris is quite simply incredible and so, the Director of Special Events, Doris Walker (Maureen O’Hara), hires him to continue “playing” Santa at the store. Naturally, he’s widely successful there as well, but he’s being completely open and honest with Macy’s customers, even if that means sending them to other stores where certain Christmas gifts can be had for cheaper. Once the management find out, they’re not too happy. Tack on the fact that Kris actually believes he’s the real Santa, and they decide he needs to be institutionalized. A court case ensues, and Fred Gailey (John Payne), is the only young lawyer who will help defend him. Fred also happens to be in love with Doris, but she’s pretty emotionally distant. She’s taught her daughter, Susan (Natalie Wood), to be detached as well and to not believe in fantasy and make-believe, including Santa Claus. So, not only must Kris win his case and prove he’s the real deal, but he also must somehow convince Doris and Susan that there is magic in the world, and that miracles do exist. A tall order perhaps, but not for Kris Kringle!! There’s a particular scene with a young Dutch girl whose adoptive mother doesn’t think will be able to speak with Santa, but lo and behold, Santa speaks her language!! But OF COURSE he does!! Even though this beautiful moment is brief, it still manages to catapult the film into another level. Then there’s the courtroom scene with all the mail bags being brought it. I can’t help but smile each and every time I see it. Gwenn gives the definitive portrayal of Santa Claus, in my opinion. It goes beyond an actor playing a role. It’s transcendent. He makes the audience believe in him, as well, and the Christmas joy he spreads feels genuine, and never too saccharine. There’s a magical twinkle in his eye that will live forever in celluloid, and that Christmas joy will only continue to spread as future generations embrace this movie, just like it did for me and my mom… and soon my daughter. Tomorrow, it’s Day 3 with Topher reviewing White Christmas! !